Whale watching season in Punta Cana runs from January 15th and can least until the end of March. The best place to see whales in the Dominican Republic however is Samana about 5-6 hours north of Punta Cana. 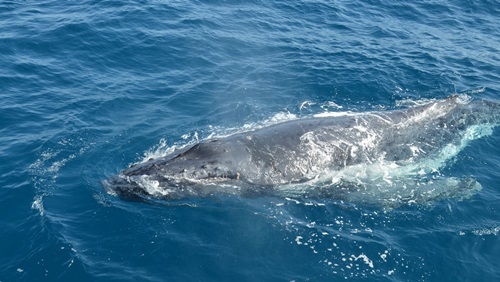 Each winter Humpbacks migrate (anywhere from 2000 to 4000 miles) from distant northern feeding grounds in the the east coast of Canada, Greenland and Iceland to the warm Caribbean waters of the Dominican Republic to reproduce. More information about whale watching in Samana can be found at Center for Conservation and Eco-Development Samaná. There is also a tour leaving from Mitches near Punta Cana going by a catamaran to Samana.